Certain manufacturers and distributors have managed to survive the Amazon onslaught. Others have not. 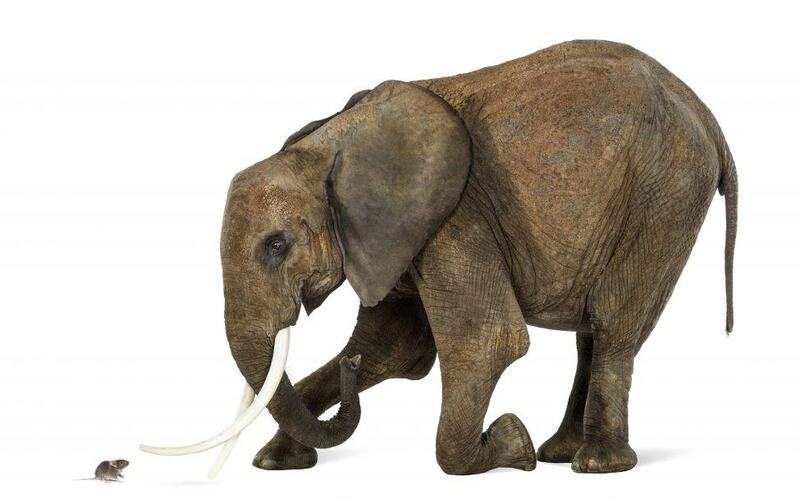 However, with a plan—and smart branding techniques—manufacturers and distributors will not only survive, but thrive under the weight of the elephant. Amazon’s business threat is nothing new. It is not the first company to move into an established and mature space and begin taking away market share. Walmart did it to local stores, and McDonald’s did it to local diners. All companies face competition from local establishments, start-ups and changes in the market, and they all bend to market realities. For instance, to reduce its carbon footprint, Amazon is asking customers if they can wait for delivery once a week. McDonald’s is using fresh beef, rather than frozen. There is no need for panic, because a mouse can stop an elephant in its tracks. To remain competitive, manufacturers and distributors have to identify what they can offer above and beyond delivery and payment. The first step in this process is to conduct a complete evaluation of your business (including strengths and weaknesses) and then develop a brand and brand strategy that can stand up to any competitor who dares enter your market space. Let’s explore some branding strategies that might help keep Amazon at bay. In an earlier post, we touched upon the fact that every personal encounter with existing and potential customers is a branding opportunity. Smaller corporations are nimble, which means they have an ability to react swiftly. This includes the obvious like answering phone calls and responding to emails immediately. It also means that they are able to personally respond to comments and reviews on social media (instead of using canned responses). If your brand denotes relationships or rapid response, stay authentic to those qualities. In some cases, these can win the day in your prospective market. Having boots on the ground always trumps waiting on hold for a response. If trust, loyalty and responsiveness are your brand trademarks, show your customers (and potential customers) these qualities at every chance. Finally, companies might consider providing additional services, workshops/seminars and content or educational blogs for their customers. Building a client’s trust and confidence takes time and should not only be reinforced during financial transactions. Everyone knows Amazon delivers. Manufacturers and distributors must constantly remind their customers why they are a better alternative. This strategy involves building brand recognition locally, regionally and nationally, which promotes the core values of your company. A memorable logo or tagline are just the beginning. Your company has to live its brand in its business materials, employees and social media presence, and by participating in your customer’s fundraisers or hosting your own community service projects. Brand development and reinforcement is a company-wide initiative, not just something undertaken by the CEO or President once in a while. Amazon allows people to purchase things with a single click, and its products are easily accessible. If you have an outdated landing/webpage, are still using paper receipts and invoices, and don’t allow your customers to make purchases immediately, you might not be ready for an Amazon takeover. Demographics and market realities are changing. Gen Xers and Millennials enjoy using apps and are conducting more business via email and online networks. Simplifying all your processes, from ordering and payment to delivery, shows that your business is ready for the big leagues. Amazon look out. While Amazon tracks its customers’ purchasing habits, it is not sending out alerts informing individuals that their toothpaste is running low. Manufacturers and distributors have an advantage here… if you choose to use it. You have a unique ability (if you take some time to do the research and compile the data) to understand a client’s purchasing habits, business goals, problem areas and future projections. Learning your customers’ business is impossible if your only goal is delivering goods and accepting payment. Smart branding allows you to listen to your customer’s needs before your competitors get a chance. Obtaining market research and soliciting strategic periodic feedback from your customers strengthens your brand. This in turn builds trust and a mutually beneficial relationship that can stand the test of time, even when Amazon comes creeping into your market space.